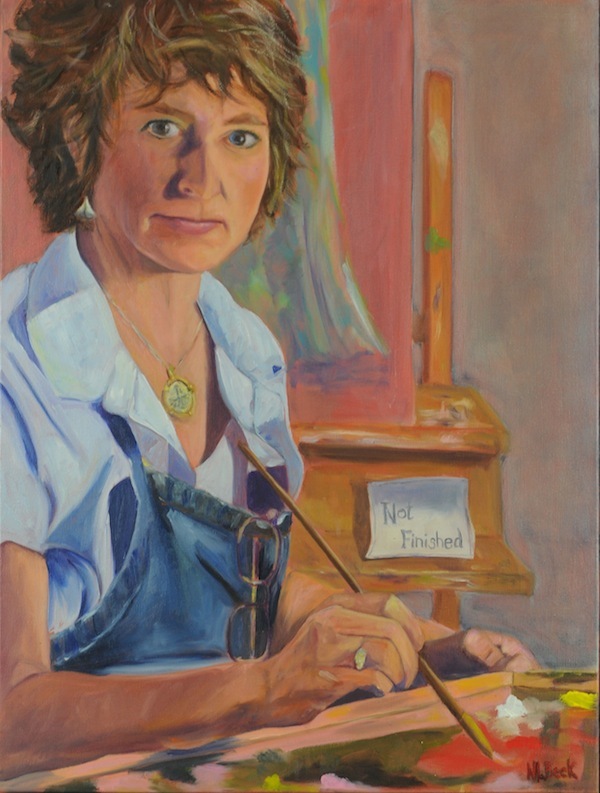 Nancy creates works using oil and acrylic, mainly focusing on unique portraits of people, plein air scenes and still life. Her style of realism combined with colorful moving subjects, brings a sense that her work is “living and breathing” in a timeless elegance. Her work was accepted in The Hoosier Salon in 2004, from which she received a purchase award, and again in 2010 and in 2013. She continues to show in various juried shows including Indiana State Fair, Key West Art Gallery’s Plein Air competitions, Key West Plein Air Painters Competitions, Brown County Art Guild and the Art Sanctuary’s Artesian professional art show where she has earned numeroust awards. Recently she won 1st price in the Brown County Art Guild’s Senior show. Nancy also won the Truman Little White House Plein Air Competition(in Key West, FL) in 2016. The museum purchased the painting where it will remain and be exhibited in their permanent collection. Nancy has a following of private collectors who have purchased her work through personal commissions or directly from her studio. Art@830 Gallery in Key West FL. She resides in Indianapolis, Indiana and in Key West Florida.